Dr. Efraín Agosto has been Professor of New Testament Studies at New York Theological Seminary since July 2011. Formerly, he was Academic Dean (2007-2011), Professor of New Testament and Director of the Programa de Ministerios Hispanos at Hartford Seminary (1995-2011). Professor Agosto, a Puerto Rican New Yorker, graduated from Columbia University with a B.A. in History (1977) before moving to Boston to complete his M.Div. at Gordon-Conwell Theological Seminary (1982) and his Ph.D. in New Testament at Boston University (1996). He has also served in pastoral ministry in Latino/a Pentecostal, Baptist and Congregational churches in New York, Boston, and Hartford. Agosto’s publications include two books: Servant Leadership: Jesus and Paul (Chalice Press, 2005) and Corintios, a Spanish-language commentary on 1 and 2 Corinthians (Fortress Press, 2008). He is also the newly named General Editor for Perspectivas: The Journal of the Hispanic Theological Initiative, an online journal highlighting the theological work of emerging Latino/a scholars in theology and religion. He and his wife, Olga Gisela, proud parents of two adult children, Joel and Jasmin, live in West Hartford, Connecticut. 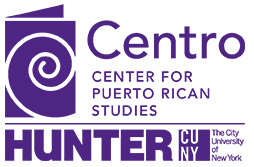 Centro’s online network to strengthen stateside Puerto Rican communities.